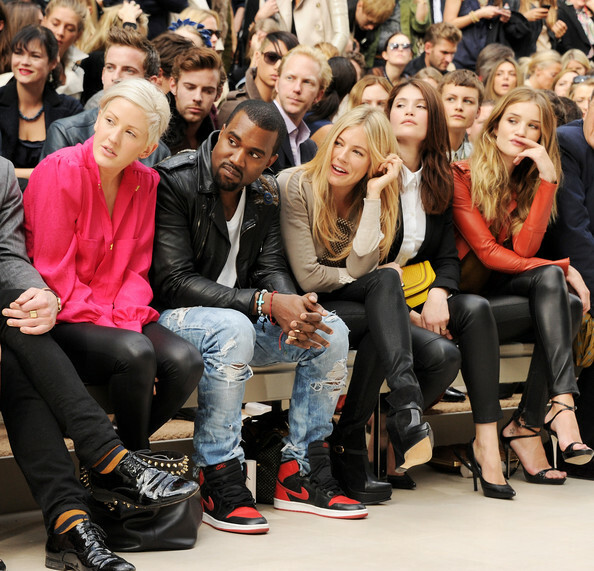 Amidst the news that Kanye West is debuting his womenswear collection next month (October 1st) at Paris Fashion Week, it looks like he will be all over London fashion week in preparation. 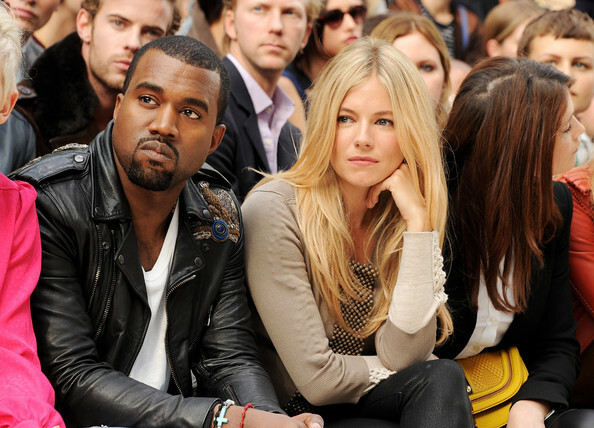 He sat front row at the Burberry Spring Summer 2012 Womenswear Show sandwiched between English singer Ellie Goulding to his right and actress Sienna Miller to his left. 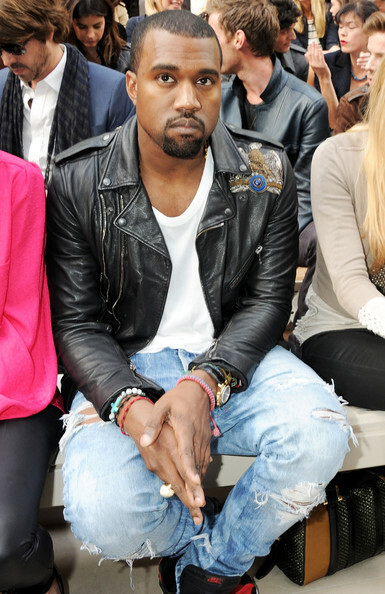 He wore pretty much the same outfit from the Christopher Kane show – an Alexander Wang tee, destroyed denim jeans, and Air Jordan 1 sneakers with the addition of his custom Balmain biker jacket.